As OEQC Director, Scott Glenn advises the Governor on environmental quality. The Director is tasked with public education and outreach, conducting research, submitting and providing testimony on legislative initiatives, recommending programs, and providing advice and assistance regarding Hawaiʻi’s environmental review process. The Director sits as an ex officio voting member on The Environmental Council, The Advisory Committee on Plants and Animals, and The Emergency Response Commission. Prior to coming to the Office of Environmental Quality Control, Scott worked as an environmental planner in the private sector. He received his Master’s Degree in Urban and Regional Planning from the University of Hawai‘i in 2009. Scott specializes in asset management, environmental planning and compliance, environmental review, and climate change adaptation planning. 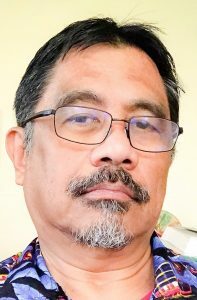 After completing a baccalaureate in chemistry, Les worked with the Solid and Hazardous Waste Branch of the Department of Health for several years before transferring in 1991 to the Office of Environmental Quality Control. He continues to provide professional support for the Environmental Council and assists in the day-to-day operations of the Office. Laura Leialoha McIntyre, MURP AICP has over 20 years of planning experience. From January 2012 to May 2nd 2018, Laura was the Program Manager for the Environmental Planning Office with the State of Hawaii Department of Health. Laura has completed various projects in five different countries. She has worked as a consultant in five different private planning firms, three in Hawaiʻi and two in Australia. Laura also ran her own private planning firm between 1995-1998. Laura was born and raised in Hawaiʻi and received her Masters degree in Urban and Regional Planning (MURP) from the University of Hawaiʻi. She received her undergraduate degree in Economics and Political Science from the University of California, Irvine. Laura has been an executive committee member of the Hawaiʻi American Planning Association since 2013 and has been a member of the American Institute of Certified Planners (AICP) since 2010. Over the years, Laura has presented on a number of topics to a wide range of audiences. Laura also holds certificates from the National Disaster Preparedness Training Center (FEMA) on Coastal Community Resilience and Emergency Preparedness & Response. Over the years, Laura has presented on a wide range of topics to various audiences. 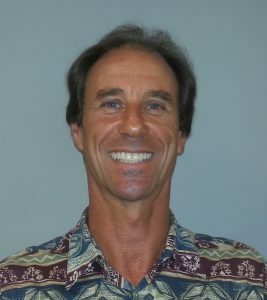 Truthfully a geographer, Tom has been engaged with Hawai’i’s planning community for over 25 years. Presently serving as a planner in the Office of Environmental Quality Control, Tom also has natural resource planning experience with the Coastal Zone Management Program and the Office of Conservation and Coastal Lands. His planning perspective has been broadened by employment with two county planning departments, as well as working as a sole proprietor consultant and with a large local planning firm. Preferring to surf and practice yoga in his free time, Tom has also been a Neighborhood Board & Community Garden Board member, volunteered as a docent at the Waikīkī Aquarium, and built yurts, permaculture gardens, and photovoltaic systems.